If you have never been to the Mai Po Nature Reserve, strolled along a floating boardwalk in the middle of a magnificent mangrove forest, here’s your chance to do so, and raise money for WWF Hong Kong. “Walk for Nature” 2018 is now open for registration, so sign up to reserve your place! 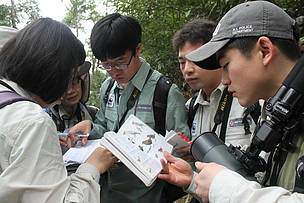 Walk for Nature 2018 is an ideal time for family and friends to Connect2Nature at Mai Po Nature Reserve and meet WWF staff to see and hear more about the important role of Ramsar (a wetland site designated of international importance under the Ramsar Convention) sites, such as the Mai Po marshes, and the challenges faced by migratory waterbirds on their journey along the East Asian-Australasian Flyway. Get involved and use the iNaturalist app during this year’s event and share what you see with friends. 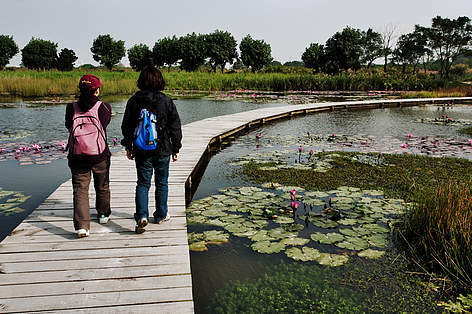 “Walk for Nature” is a set route around the reserve, located in the Inner Deep Bay wetlands. Since 1995, Mai Po has been accredited as a “Wetland of International Importance” under the Ramsar Convention and is home to 35 species that are classified as worldwide endangered species. Read more about Mai Po Nature Reserve. And under the theme “Flap Your Wings”, participants will experience migratory birds’ journey to Hong Kong through a series of games, DIY workshop and puppet show. Taking part in these activities will raise participants’ awareness and knowledge of conservation issues and sustainable living. Click here for activity details. *For safety reasons, baby strollers and prams are not allowed in the reserve. 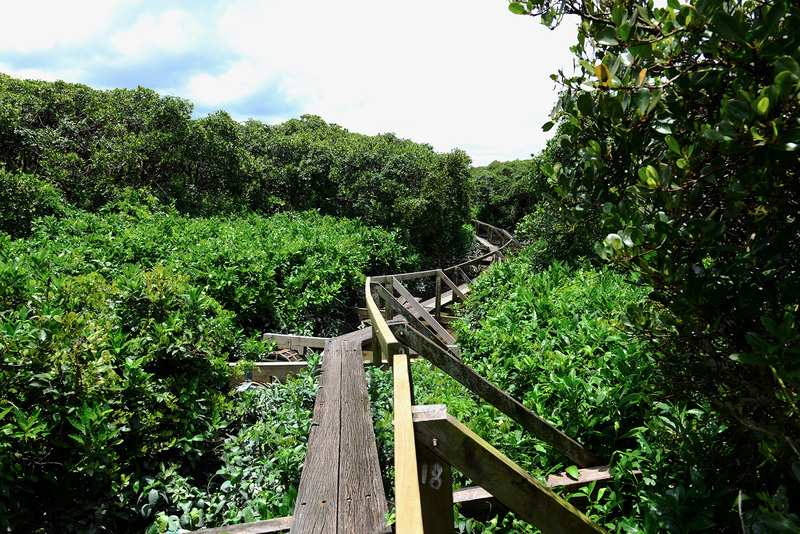 ** Registration for the boardwalk guided tour is only available when enrolling Walk for Nature online. For safety reasons, participants must be aged 12 or above. The event will be divided into10 time slots each day, running consecutively at half-hour intervals from 9:30am-2pm. Participants can choose their preferred time slot during registration. To register online, please follow this link. About Mai Po Nature Reserve: As a haven for thousands of migratory waterbirds every year, Mai Po Nature Reserve and the surrounding Inner Deep Bay wetlands sets a prime example of conservation success for regional wetlands, and offers visitors a chance to get up close to wildlife and appreciate the beauty of nature. Located on the northwestern corner of Hong Kong, the Mai Po and Inner Deep Bay wetlands is recognized as ‘Wetland of International Importance’ under the prestigious Ramsar Convention in 1995. The 1,500-hectare area acts as a key way station and wintering site along the East Asian-Australasian Flyway where 50 million migratory waterbirds travel through each year. “Walk for Nature” is an annual fundraising event held in Hong Kong’s iconic Mai Po Nature Reserve that has been held for the past 25 years. Participants walk a set route around the Reserve, which is in the Inner Deep Bay wetlands. Mai Po was recognized as “Wetland of International Importance” under the Ramsar Convention in 1995. Since 1940s, observers at the Mai Po Inner Deep Bay wetlands have recorded a total of 400 different species of birds, accounting for 75 per cent of the known bird species in Hong Kong and giving it a reputation as a paradise for birds. Among them are 35 species that are classified as worldwide endangered species. The Reserve also provides habitat for many species of both flora and fauna. 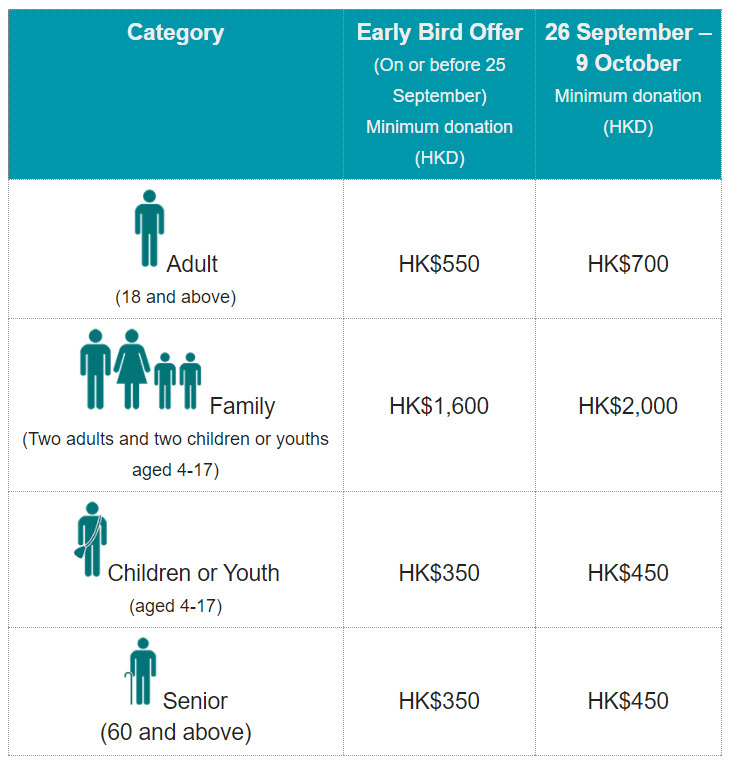 Walk for Nature, WWF-Hong Kong’s most significant educational fundraising event, aims to engage the public about the need to protect Hong Kong’s local natural environment and strengthen their awareness of the importance of environmental conservation. There are four categories that you can join: Adult, Family, Child or Youth, and Senior. There will be 10 time slots each day running consecutively at half hour intervals from 9:30 a.m. – 2 p.m. Participants can choose their preferred time slot during the registration process. “Walk for Nature” 2017 is now open for registration. To register, please follow this link. If you have any questions about the event, please feel free to contact WWF staff at 2526-1011 or email walk@wwf.org.hk. The Big Bird Race is Back! 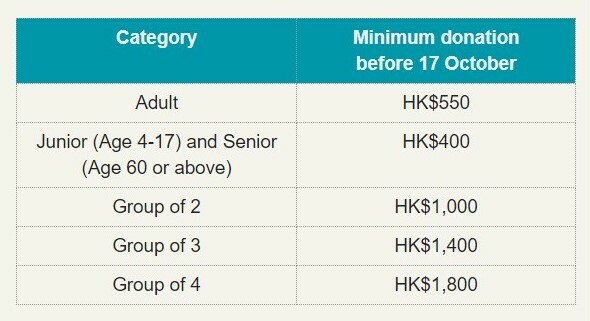 The Big Bird Race is WWF-Hong Kong’s longest-running fundraising event. Established in 1984, the funds raised directly contribute to the conservation and management of the Mai Po Nature Reserve, a Wetland of International Importance under the Ramsar Convention. 2017 marks the 34th anniversary of the race. The race has grown and evolved over these three decades but has always generated great enthusiasm among bird-watchers, both local and, more recently, overseas. Aside from the pure enjoyment of the competition, participants also have the opportunity to sharpen their bird-watching skills and improve their knowledge of birds. The Big Bird Race is a 12-hour bird-watching “race”. Bird-watchers work together in teams of four to record as many bird species as possible during this time. Every species recorded must be seen or heard by all members of the team. Geographically, teams may start anywhere in Hong Kong, but must return to the Mai Po Nature Reserve at the end of the race. A judge will examine each team’s Log Books to determine the winners. 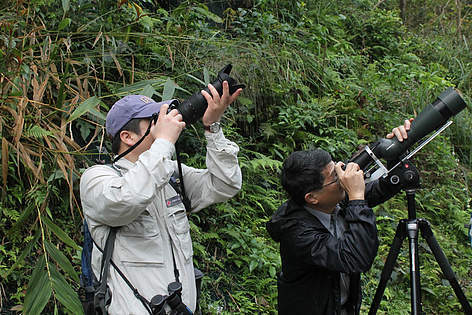 Teams may begin bird-watching on their own at 6 a.m. anywhere in Hong Kong. 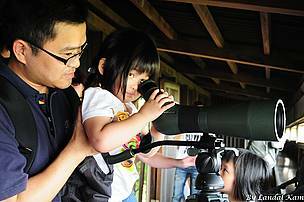 Participants may wish to carry their own binoculars and bird guides to assist with bird spotting. As Mai Po and Tai Po Kau accommodate a large variety of birds, they have been the most popular sites for most participants over the years; however participants are welcome to use their own bird-watching sites as well. Teams are required to record every bird species they see or hear in their Event Log Book. They are also required to return to the Mai Po Nature Reserve Visitor Centre at or before 6 p.m. and turn in their Log Books to the adjudicator. The adjudicator will examine the accuracy of each record, making reference to a number of factors such as the weather, the latest migratory bird population and others. They will also compare the results of the different teams to see if there are any anomalies or irregular records. The adjudicator will then make a professional judgment and determine the winning team. Place: Geographically, teams may start anywhere in Hong Kong, but must return to the Mai Po Nature Reserve at the end of the race. WWF-Hong Kong was founded in 1981 and is an integral part of WWF’s global network. Their work began with managing Mai Po Nature Reserve and conserving iconic species. Over the years, they have expanded and adjusted their mission to better serve Hong Kong’s conservation and education needs and align themselves with WWF’s global strategy. Walk for Nature is an annual fundraising event held in Hong Kong’s iconic Mai Po Nature Reserve. Participants gather sponsorship and walk a set route around the Reserve, which is located in the Inner Deep Bay wetlands. In 1995, Mai Po was declared a Wetland of International Importance under the Ramsar Convention. The Reserve provides habitat for many species of both flora and fauna, and has a worldwide reputation as being a “paradise for birds”. Join this walk and learn more about WWF’s work in conserving and preserving the Mai Po Nature Reserve. This year’s event theme is ‘Be a Citizen Scientist’. Participants can understand more about WWF’s wetland conservation work by taking part in the interactive games and activities held along the route. Price: Please refer to enrollment form for details. About WWF’s work at Mai Po Nature Reserve: In 1983, WWF-Hong Kong began managing Mai Po Nature Reserve, implementing a number of conservation projects designed to protect the Reserve’s many fish ponds, gei wai, intertidal mudflats, mangroves, reed beds and freshwater ponds. 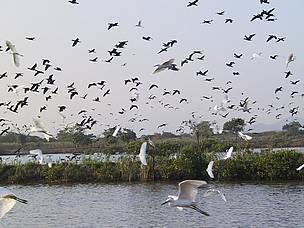 In 2001, the conservation work took on a new dimension, as the conservation work began to focus on conserving Hong Kong’s section of the East Asian-Australasian Flyway (EAAF), a vital flight route for migratory waterbirds. The EAAF begins at the Arctic Circle and runs through Southeast Asia all the way to Australia and New Zealand. Mai Po is situated roughly in the centre of the flyway. Every year, migratory birds conduct their long journeys south and stop at Mai Po to rest and recharge before they continue their voyage. Walk for Nature is WWF Hong Kong’s most significant educational fundraising event, which aims to engage the public about the need to protect Hong Kong’s local natural environment, and strengthen their awareness of the importance of environmental conservation. Their ‘Discovery Mai Po’ fundraising walk was first held in 1992. In 2006 the event’s name was changed to Walk for Nature, making 2015 the 24th consecutive year of this event. This year, Walk for Nature will be held on Saturday the 7th and Sunday the 8th of November. Participants can to choose one of the two days, but not both days. By participating in Walk for Nature you will be able to discover and explore the natural beauty of Mai Po. You will also personally experience the joy of bird watching, learn about the importance of wetlands and be able to participate in entertaining game stands. The event route is about 5 km and has an estimated completion time of 3 to 4 hours. To prevent overcrowding and minimize visitors’ effect on the environment, participants will begin their walk in different time slots. Each event day will contain 10 time slots, running consecutively at half hour intervals from 9:30AM–2:00PM. Participant can choose their preferred time slot during the registration process. A free shuttle bus service will be provided between 8:30AM and 6:00PM on the event days to transport participants from Sheung Shui MTR station to Mai Po Nature Reserve and back again. This event is only suitable for people aged 4 and above. For safety reasons, baby strollers and prams are not allowed in the Reserve. Walk for Nature 2015 public enrollment will begin in mid August / early September and end on 10 October 2015. For enquiries please contact WWF Hong Kong at Tel 2526 1011 or walk@wwf.org.hk or visit their website by following this link. WWF is a leading global conservation organisation, with a global network active in more than 100 countries. WWF’s mission is to build a future in which humans live in harmony with nature. WWF was founded in 1961 with headquarters based in Switzerland. Operating for nearly fifty years, WWF has forged unprecedented global partnerships with governments, other NGOs and the private sector, and has inspired individuals to take action and make a difference. WWF-Hong Kong has been working since 1981 to deliver solutions for a living planet through Conservation, Footprint and Education programmes. 2015 marks the 31st anniversary of the race. The race has grown and evolved over these three decades but has always generated great enthusiasm among bird-watchers, both local and, more recently, overseas. Aside from the pure enjoyment of the competition, participants also have the opportunity to sharpen their bird-watching skills and improve their knowledge of birds. The Big Bird Race will be held on 17 January 2015 (Saturday). The race will last for 12 hours – from 6:30am to 6:30pm. 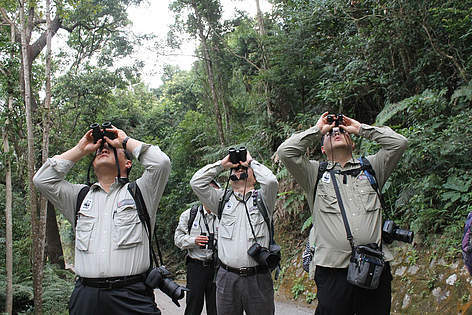 Teams may begin bird-watching on their own at 6:30am anywhere in Hong Kong. Participants may wish to carry their own binoculars and bird guides to assist with bird spotting. As Mai Po and Tai Po Kau accommodate a large variety of birds, they have been the most popular sites for most participants over the years; however participants are welcome to use their own bird-watching sites as well. Teams are required to record every bird species they see or hear in their Event Log Book. They are also required to return to the Mai Po Nature Reserve Visitor Centre at or before 6:30pm and turn in their Log Books to the adjudicator. The adjudicator will examine the accuracy of each record, making reference to a number of factors such as the weather, the latest migratory bird population and others. They will also compare the results of the different teams to see if there are any anomalies or irregular records. The adjudicator will then make a professional judgment and determine the winning team. 1. Birds must be unrestrained. 2. Oiled or sick birds will not be counted. 3. Species which have obviously been released from captivity within a few days of the Race will not be counted. 4. All species must be recorded within the territorial area of the Hong Kong SAR. 5. Only positively identified species are acceptable. 6. Attracting birds with tape-recorders or any type of digital audio equipment is prohibited. The results will be announced at the Post-Event Dinner held immediately after the race. To ensure the results are fair to everybody, the adjudicator will re-examine all Log Books and release the Adjudicator’s Report one week after the race. If you want to participate and want to know more, please visit the WWF Hong Kong website. Volunteering: Volunteering for WWF is a great way to get personally involved in local conservation and for experience working in environmental protection. WWF welcomes volunteers at a range of levels, from office assistance to fundraising and even field work at sites such as Mai Po in Hong Kong. Visit their website for more information, to fill out an online form, download their volunteer form or email WWF-Hong Kong.